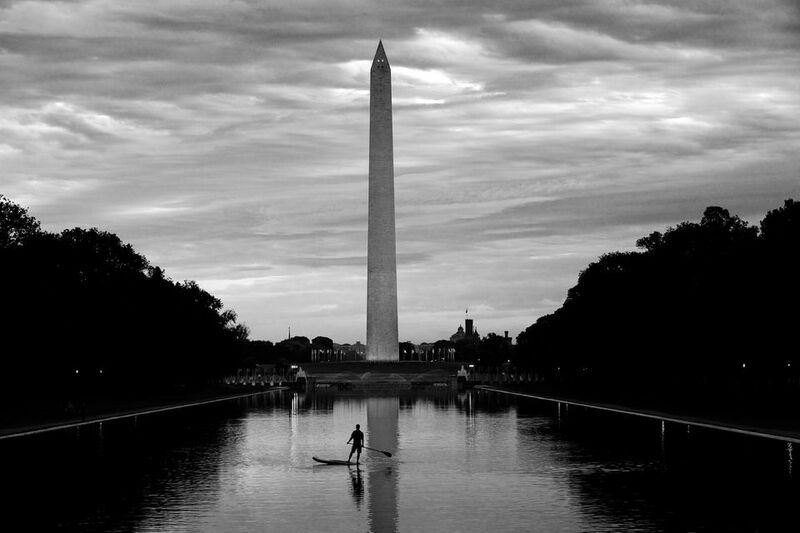 Stand Up Paddle Boarding (SUP) in Washington, D.C. Stand up paddle boarding, also known as SUP, is a relatively new sport that has been gaining in popularity across the country in recent years. It is a fun outdoor activity that you can enjoy right in Washington, D.C. along the C & O Canal and the Potomac River. Within the capital region, there are also a variety of lakes, rivers and bay tributaries that offer ideal conditions for stand up paddle boarding. While you can learn the basics in one lesson, you can also challenge yourself to develop more advanced skills in whitewater rapids or in the open ocean. Stand up paddle boarding provides an exceptional core and balance workout and is a great way to cool off during the summer months. Many local outfitters offer SUP yoga and fitness classes. Angler’s Inn River Access – Potomac, MD. This destination offers quick and easy access to stand up paddle boarders along the C & O Canal. In this area, the water is very flat and easy to navigate. Lessons are available with advanced reservations. Rentals are not available onsite. For tour operators in this area, see Kayaking in Washington, D.C. Note, the parking lot is popular among kayakers and hikers and fills up fast on the weekends during the summer months. Key Bridge – Georgetown, Washington, D.C. This is a great place to rent equipment and take a stand up paddling lesson along the Potomac River. Parking is limited, so it is not an easy place to launch your own board. Rentals are available. Visit www.boatingindc.com. Capitol Riverfront - Washington, D.C. You can paddle along the Anacostia River past DC’s historic Navy Yard, Nationals Stadium and Yards Park. Rentals are available. Visit www.boatingindc.com. Riley’s Lock – Poolesville, MD. Located at the mouth of the Great Seneca Creek in northern Montgomery County, this is a good launching spot. Lessons and rentals are available with advanced reservations. For tour operators, see Kayaking in Washington, D.C.
Dyke Marsh Refuge - Alexandria, VA. Explore one of the largest remaining freshwater tidal wetlands in the Washington metropolitan area. Rentals are available at Belle Haven Marina, located just South of historic Old Town Alexandria. For details, visit www.saildc.com. Pohick Bay Regional Park - Lorton VA. The Northern Virginia park is a great place for wildlife viewing and rents paddle boards for the same price as a canoe or kayak for an hour. Visit www.nvrpa.org/park/pohick_bay. Reston, VA. SUP lessons are available on Lake Anne and Lake Audubon. Advance reservations are required. Visit www.surfreston.com. Rachel Cooper is the author the book Quiet Water: Mid Atlantic, AMC's Canoe and Kayak Guide to the Best Ponds, Lakes and Easy Rivers. The book profiles 60 paddling destinations in New Jersey, Pennsylvania, Delaware, Maryland, Washington, D.C. and Virginia and includes detailed descriptions with paddling routes, local flora and fauna, driving, parking, and put-in instructions and other advice.